We’re pleased to share some exciting news! 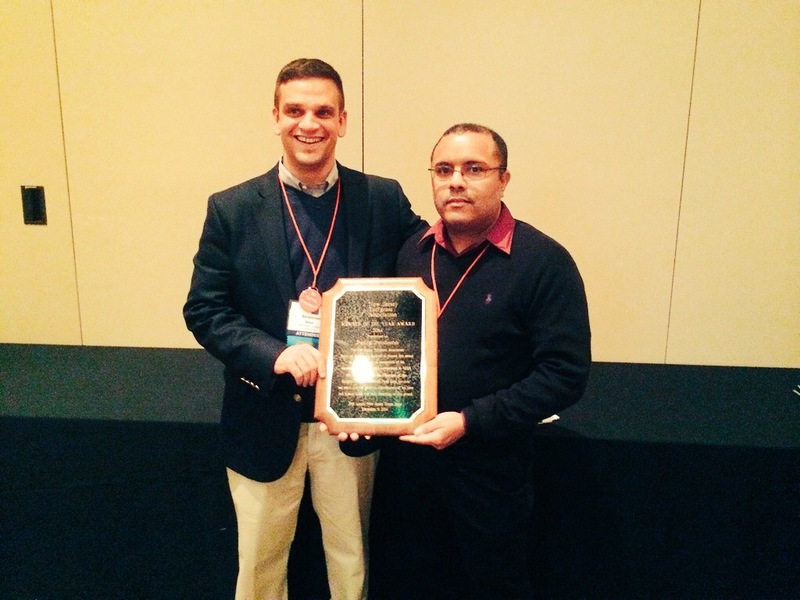 Aquatrols’ Regulatory Manager Pedro Perdomo has been named the 2014 Member of the Year by the New Jersey Turfgrass Association. Mr. Perdomo received the prestigious award at the 2014 New Jersey Green Expo in Atlantic City, New Jersey. Pedro was recognized by NJTA President Shannon Sked for his years of commitment and dedication to the NJTA and the turf industry as a whole. Pedro has served as Chairman of the Rutgers University Turfgrass Research Field Days for more than a decade. He joined the Aquatrols team early in 2014. The 39th Annual New Jersey Green Expo attracted superintendents, students, and turfgrass professionals from across the Garden State. For more information on the NJTA, visit their website.